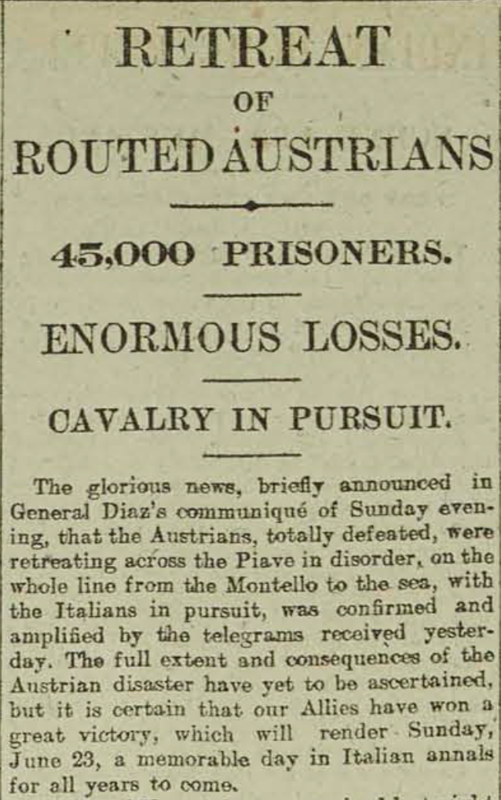 The Italian Campaign has dominated our newspapers’ coverage of the War these past ten days, and today’s announcement that the Austrian attack on our Italian allies has ended in total defeat is most satisfactory. 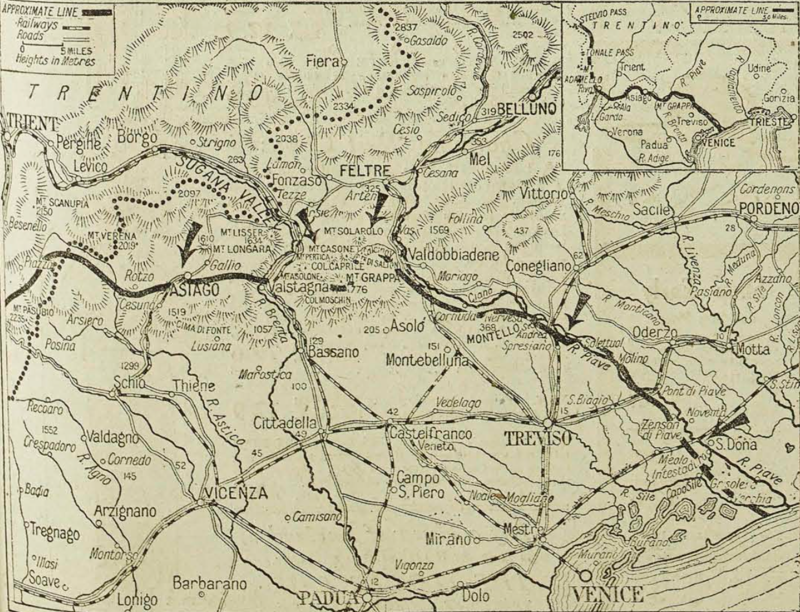 The Austrian offensive started on June 15th with attacks on the Asiago Plateau and the Battle of Piave River. Amongst the English troops involved in the battles were the 1/4th Battalion Oxfordshire and Buckinghamshire Light Infantry. Lieut. 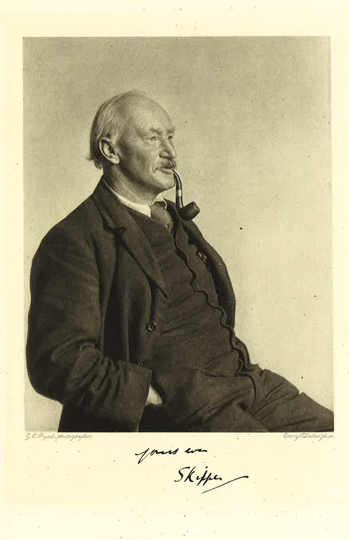 Jack Gamlen (OBLI), appointed as an Aide-de-Camp at the Headquarters of 48th Division (of which the Ox & Bucks are part) at the beginning of this month, witnessed this unfolding drama. We are most grateful to him for his account of events. “An Austrian attack was fully expected on that date, but it was not known for certain that the British front would be attacked. However, every preparation was made to receive it. I never saw anything so interesting as the left Battalion Sector of our Divisional front, where the fighting had been hardest. I got there with my General soon after the situation had been completely restored, and it was possible to reconstruct the whole attack. The enemy had got to within less than a hundred yards of Battalion HQ. He came on twice, and was twice repulsed by this battalion alone without any help. The foremost of the enemy were lying just where they had dug themselves in with their entrenching tools, with their bombs and ammunition beside them. And never, in my life, shall I have so profoundly impressive an experience as that of going among our dead, (it was my own Battalion), and recognising my own friends lying just as they had fallen upon the field.